Without question, Jack Nicklaus is one of the greatest golfers of all time. We could bounce back and forth arguing who is the greatest, but that would not meet my goal of today’s article. Primarily it is to share some of Jack’s wisdom and how it applies to playing better golf. So, let’s begin! Aspiring to be a scratch golfer and working to keep my low handicap index, Jack’s words drive to the core of my being as a golfer. My journey started 28 years ago when I decided I wanted to be scratch golfer. During every step towards playing well, I aspired to play better. I wanted to hit each shot closer, straighter, or longer. I was happy with my results, but never satisfied with where I stood. I felt I could always do better. My aspiration to be a scratch golfer fueled my desire to practice, train, learn and focus on goals that would help me attain the “next level”. It was interesting that as my game improved, my aspiration to play better grew. Some days it was like pouring gas on a fire, I experience flashes of brilliance that showed me I was capable of playing better. Once I proved I could perform a specific shot, I then expected to perform it every time. Of course I am not so naive that I think I would perform my newly learned skill without fail, but I expected too. As I hit this shot more and more, my expectation grew and grew. Now, there are some shots (like chipping to within 3 feet from just off the green) I expect to make always! I do not whine or cry if I miss, but I am a bit disappointed when I do. I always aspire to be a better player and expect to improve. As a low handicapper, lowering my golf score is more challenging and the time to refine skills takes longer. However, I can honestly say that my aspiration and expectations are higher now than when I started this journey in 1990! I am confident this will never change and as such, I will continue my journey to be a scratch golfer. 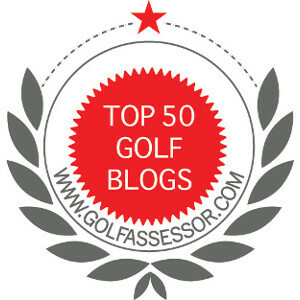 Do you aspire to be a better golfer? Do you expect it will happen anytime soon? I continually strive to be better but the actual progress seems to come in stages no matter how much time I have to put into it. It seems nothing is happening for a while and then all of a sudden I realize it has. That is interesting. I guess it is a matter of finally being able to implement what you were working on without hesitation. I will have to think about this one for sure.